What was meant to be a quick glance turns into a stare and we all know that when you look fixedly at something, you tend to zoom in and focus on every detail. The same is true when looking in the mirror, you go straight to specific areas like the parts that need tweaking, tucking, filling or fixing. What if what you see in the mirror is not a true reflection of what really is? Let me be the first to tell you that it’s not. Mirrors lie! They only focus on the exterior, not the interior, which is the essence of who you really are. 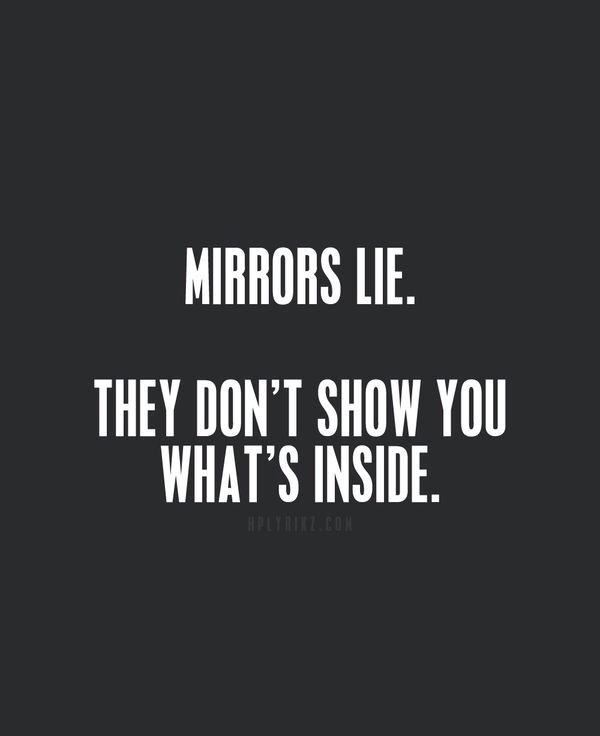 If only mirrors could show you what’s inside…would you like what you see? If so, great but if not, focus on what you feel requires change on the inside and work towards changing it. Your inside will soon reflect what you see on the outside. « Keri Russell in Louboutins!